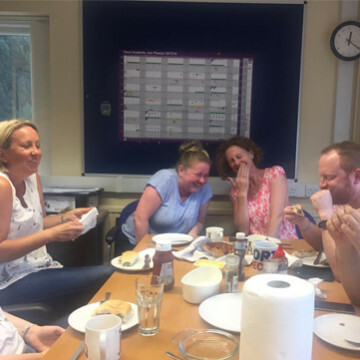 We go by many names, but you can be sure that the good people who make up our fantastic team are agile, ambitious and extremely talented. Get to know us a little more and find out who you need to speak to below. You never know what you might discover! 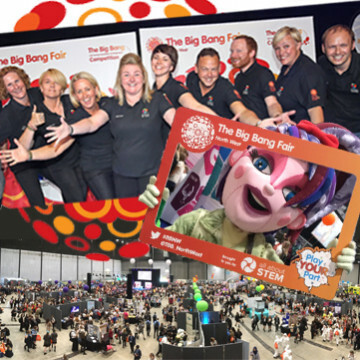 With a degree in business and a background in hospitality and events, 'our Liz' provides invaluable support to the All About STEM team and is the first port of call for teachers and Ambassadors. She's the smiling face that connects our schools to who & what they need! Liz loves cooking, walking, travelling and adventures! "Both my parents are Chemists and have a background in STEM related fields, stepping into this role and into the world of STEM was a slightly unexpected turn but my parents are very pleased (as you can imagine) and I think the unexpected turns in life can have the best outcomes. I am really loving being part of this team and world as I am learning so much every day and meeting some truly inspiring and amazing people!" If you are a teacher who wants to know about upcoming events or would like to have an Ambassador come into school, then get in touch! 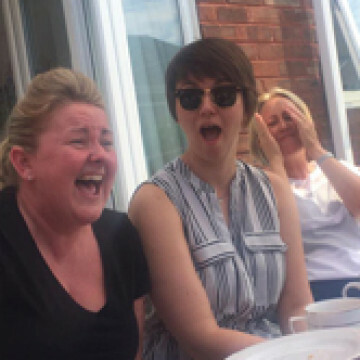 She's also worked with the Army Cadets for years and after becoming a senior officer, she returned as a mentor and supervisor - she's secretly fierce, go Liz! Kev is all about BRAND. He is our go-to-guy when we want something with that extra special All About STEM sparkle! When the rest of the team think they have past the finish line on a piece of work, its really Kev who gets the final baton and is up till all hours giving all our work the polished look that you know and instantly recognise. King of Copy, Prince of Print, Master of the pull up banner... call Kev if your business or school needs some help with any type of design, print or brand. Kev can name a font at 40 paces. Dr Dave (it isn't just a fun nickname, he really is!) is all about partnerships. Dave meets with business and finds how they can support schools to strategically facilitate careers provision and keep them informed of the opportunities available to them. He can be meeting with a school leadership team one day, demonstrating nano-technology to a class the next or meeting with the LEP to join the dots regionally. Dave keeps bees, rides a motorbike, cures his own meat... he even made us lip balm for Christmas one year! Renaissance man doesn't even cover it. Laura is an interloper from the Visual Arts world. Her background in events and participation projects helps keep All About STEM on its toes with her creative thinking. With her fingers in lots of different pies across the organisation, she is the go-to-gal for fresh eyes on a problem, creative approaches to projects and quirky ideas that set us apart. With her strategic overview of the many spinning plates in the world of All About STEM, she keeps us all focused and charging forward! Laura starts making Christmas cakes in August each year. Without fail. Selena is our 24/7 web, media and marketing overlord. It is essential in today’s social and connected age that All About STEM stays current and you stay up to date with what we are doing. Too often great inspirational things happen in our schools that nobody ever finds out about. Selena’s job is to spread the #STEMtastic tales of celebration far and wide (and in 140 characters). Whether it’s event coverage, live tweeting or shouting about the invaluable work our STEM Ambassadors do, Selena is your girl. Selena came to us after working for Microsoft so she's a certified & self confessed geek! She loves Nerf battles & building LEGO with her son & would like to be Lara Croft. Processing thousands of applications, DBS renewals and arranging hundreds of inductions with our industry partners with a Hawk’s eye for detail Helen ensures that our STEM Ambassadors have a smooth and enjoyable experience from application to induction. She then waves them off, like a proud mum at the school gate, as they embark on their first activities with schools. Get in touch if you have any questions about your STEM Ambassador application, induction or DBS check. Can pack up a van full of our kit like she's playing Olympic level Tetris! Michelle is our Managing Director. If you’ve met her then you will already know what she is about. In fact, she has probably got you involved in the quest to inspire and engage our young people. If you’ve yet to met her…then what are you waiting for? There is always cake on standby. Always one for the non-traditional approach Michelle began her career as an apprentice Gas Service Engineer in the early 90's and was quickly identified as one to watch. Moving swiftly through the ranks she swapped her gas van for a BMW and began the challenge of management in a large organisation. 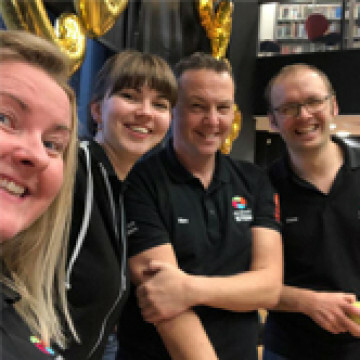 Fast forward a few years & the first incarnation of the company, MerseySTEM was born out of the need to take action to provide a translation and engagement service between industry & education that is honest, effective & innovative. As the reputation and geography of 'her patch' grew All About STEM became the natural successor and the new name and vision was launched in 2016. Merseyside and beyond!! Businesses need to attract new talent in a fast paced technological world and schools need to equip our young people for the future at the same pace. But, critically, both are often inundated with information whilst facing their own sectors’ evolving challenges. Michelle is bi-lingual...she speaks fluent Scottish being married to Scotsman. She also likes cake. Ali keeps the wheels turning and keeps us all on course. Always on the go and with a special talent for translating strategy into action. Ali oversees our working relationships, engagement with and advice to schools & teachers. It’s her personal mission to ensure that it is relevant, supportive, and purposeful. With a twenty year teaching career, much of which spent as a Head of Department in a large secondary school, Ali has a deep understanding of and a sharp insight into the evolving educational landscape as well as the implications of policy and the day to challenges these present to teachers at the chalk face. 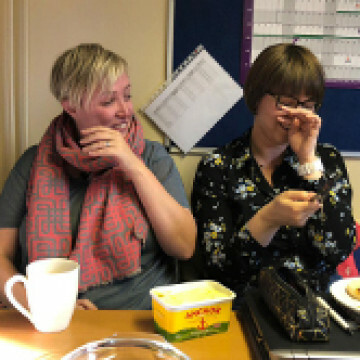 It was this passion and understanding of teachers’ needs that inspired Michelle to poach Ali to become her ‘right hand man’ and embark upon the MerseySTEM adventure. Together they have successfully grown the business from scratch with a people centred approach. We believe that good communication is key in achieving our aim to be the trusted voice for teachers, filtering out the noise. Ali’s talent for remembering names and faces is legendary, as is her ability to relate and ‘speak human’, but you probably already know this! Contact Ali if your company wants to engage with the Ambassador Programme. Although she denies it, after a recent trip to Euro Disney, Ali now wants to be a princess. Our events inspire young people, support teachers and allow industry to showcase rewarding career pathways. From the smallest gatherings to our largest showpiece event Tim gives every one the same level of love and attention. He provides an end-to-end events management service. 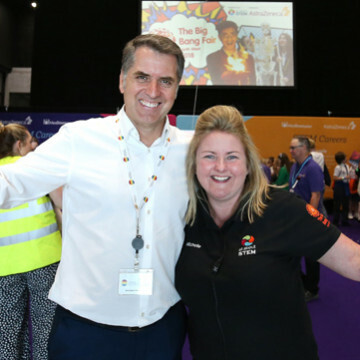 Whether that is engaging schools & teachers, liaising with sponsors and exhibitors or dealing with production schedules, venue floor plans & contractors. Tim always endeavours to make teachers’ lives easier, students’ experiences more enriching and our stakeholders’ engagement deliver on objective! 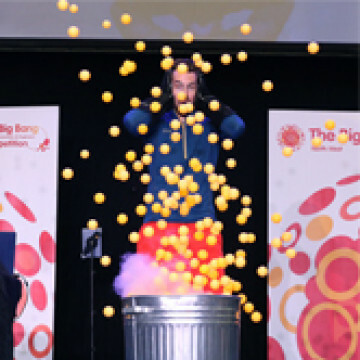 Contact Tim if your organisation wants to be a part of BIG BANG NORTH WEST. Tim manages the main stage at a multi-award winning music festival. In a previous life he was once a rock climbing instructor! 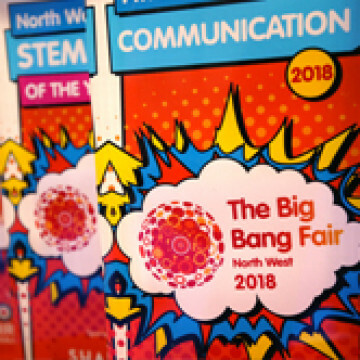 All About STEM do amazing things working with schools and businesses to promote exciting and rewarding Science, Technology Engineering and Maths opportunities, inspiring young people right across the North West! All About STEM is making it happen across Merseyside, Cheshire and Warrington. 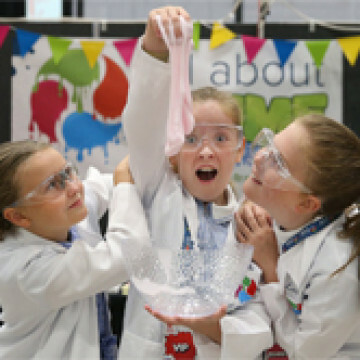 We work on lots of different projects to bring exciting Science, Technology, Engineering and Mathematics to schools across the region, linking them with business and industry expert volunteers inspiring the next generation of STEM specialists. Described as the ‘hidden wiring in the system’, we work hard to build and maintain relationships with our schools, businesses, industry, colleges and universities so that we can strategically match-make opportunities with need. Cutting through the noise is what we’re all about, making sure that schools and industry have easy access to the information and events they need in order to support, enrich and enhance the work they’re doing. We are experts in our field. A marketing manager might say that we offered ‘tailored solutions’, but honestly… we just talk with the right people, work hard and make it happen.